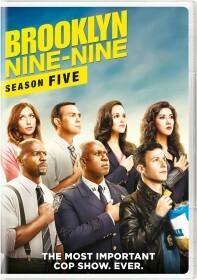 We are running an episode tournament to find fans' favorite episodes from the first five seasons of Brooklyn Nine-Nine. The second knock-out round has now closed and the four winning episodes have made it through to the semi-finals. In the previous round, Johnny and Dora beat The Jimmy Jab Games with 65% of the vote, Halloween IV defeated Halloween III with a 68% share, Jake & Amy won against HalloVeen with 63% of votes, and Yippie Kayak was the clear winner against Greg and Larry with 77% of the vote. The four episodes now go head-to-head in the following pairs: Johnny and Dora vs. Jake & Amy, and Halloween IV vs. Yippie Kayak. Remember to check back Tuesday, September 18 to vote in the semi-finals.